Our cultural tours explore the archaeological wealth of our country. Witness the archaeological trace left by the various actors involved in our History; a land that has been home to many cultures, enriched by their Mediterranean and Atlantic trades. Let us guide you in the footsteps of the first European prehistoric men in Atapuerca, and to witness their first artistic representations, such as those in Altamira; to explore Mediterranean-flavoured cultures such as the Tartessians and Phoenicians, the Celts and the Iberians, as well as the Romans and Visigoths which then give way to the Middle Ages, the Arab Conquest and the development of the Christian kingdoms. You will marvel at the most emblematic World Heritage monuments and places, as well as those which may be less well known, but which are of equal artistic beauty. Enjoy Spain with our cultural tours! ¡Its history, art and archaeology are waiting for you! ¡Enjoy our cultural tours with our lecture guides! Guided and designed by Noemi Miguel. 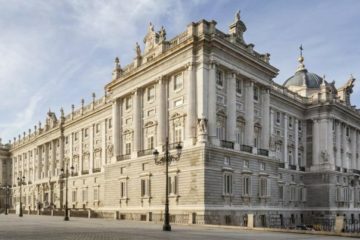 Discover the origins of Madrid! A new dinasty is coming! One of the most emotional and interesting moments in the history of Madrid! A tremendous history of a city at war!